You Made it to the Family Fun Zone! Now You’re Never Gonna Wanna Leave….. Welcome to Major League Mommy! Excuse the mess… *steps over a busted bean bag and an unfinished cup of yogurt* Around here, we have a few rules (I know, I know. Typical Mom)…. Ready? RULE #1- You only live once… Well.. admittedly, I have died and come back to life a few times thanks to the heart attacks my children have given me (but you get the point). We are here to make the best out of this life. You don’t always have to be so serious. Live a lot, not a little. The first rule is to BE PREPARED TO HAVE SOME FUN. Got it? Cool. 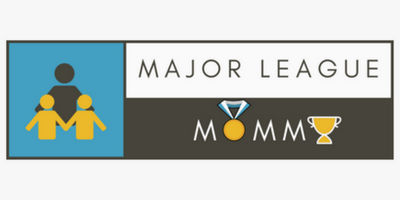 Because Major League Mommy is quite the creative, spunky, athletic, overly social, party animal. If that freaks you out…. RUN in the other direction before I notice you. RULE #3- Be social! Drop some comments beneath a post. Jump on over to my Facebook to start a “Momversation” (yep. I made that up. That’s how I roll). Share some of your stories and experiences! We can all learn from one another.